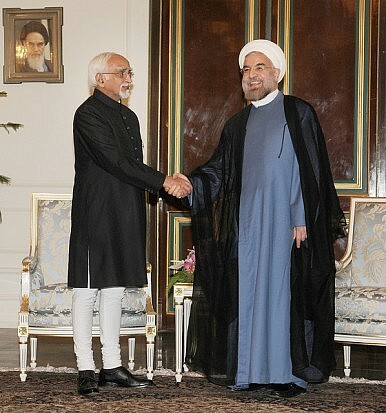 How Much Does India Really Need Iran? India has ceded to U.S. demands to reduce oil ties with Iran until an agreement is reached. Can they afford to do it? When Barack Obama traveled to India in January, his hosts put on a show. Prime Minister Narendra Modi gave Obama a ceremonial welcome at the Rashtrapathi Bhawan, the presidential palace, rolling out a red carpet flanked on both sides by well-disciplined soldiers, before treating him to a state dinner of mustard fish curry, gushtaba, and achari paneer. Performers dressed in traditional garb regaled the president and First Lady Michelle Obama with classic Indian dance and a musical number called “Yes We Can,” a homage to Obama’s campaign trail refrain. New Delhi has made considerable headway in that effort. In February, India slashed oil imports from Iran to the lowest levels since July 2013, receiving just a tick over 100,000 barrels for the month. That was aided by the decision of one leading petroleum company, Essar Oil, to reduce imports by nearly 40 percent in January. In doing so, Esssar prevented themselves from getting hit with serious sanctions, this weekend, the Obama administration announced that India’s state-owned Oil Corporation (OC), Oil and Natural Gas Corporation (ONGC), and Oil Limited Company (OLC), along with China’s Sinopec and CNPC, could face fines under the U.S.-Iran Sanctions Act. For Washington, weaning China and India off of Iran’s oil remains a huge priority: together with Iraq, the United Arab Emirates, and Afghanistan, they make up over two-thirds of Tehran’s exports. That means India might have to turn elsewhere to get that much-needed oil, which won’t be an easy task, even with prices slipping yet again. India will probably try to turn to the Persian Gulf, where Saudi Arabia continues to be the largest supplier. OPEC countries have reluctantly agreed to maintain supplies at current levels despite falling profits. While Riyadh may be hesitant to dole out more supplies just to please India, they’ll want to keep one of the world’s leading importers happy as prices rise in the future. All of that may be immaterial if the P5+1 and Iran can close out a deal quickly. That’s what oil markets are expecting: prices slipped by four percent overall last week on signs that a deal could be close. In Washington, Republican senators, upset by the prospect of a deal, wrote to Iran this week in a last-ditch attempt to block an agreement. India will probably be able to weather the storm for now. But even if a deal is made, New Delhi will need to lock in more reliable suppliers.